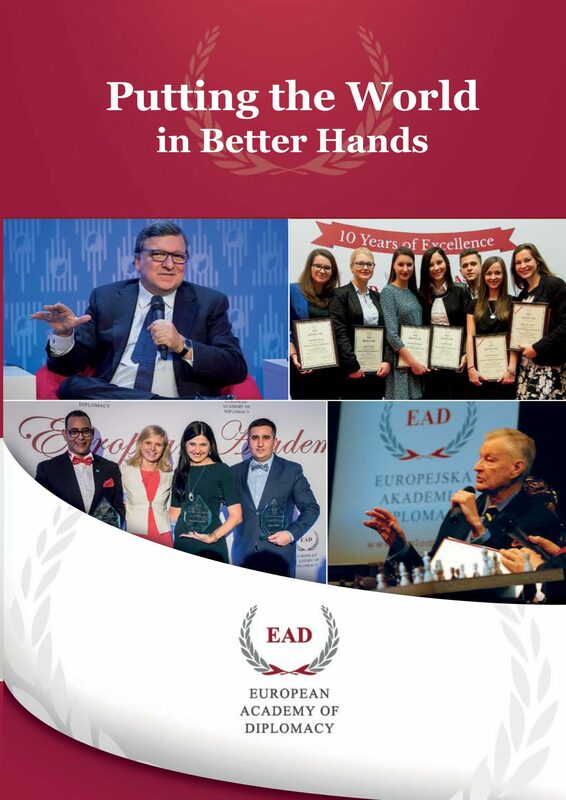 From the 23rd to the 26th of September, the European Academy of Diplomacy, in cooperation with the National School of Public Administration, hosted the 42nd meeting of Deans and Directors of Diplomatic Academies and Institutes of International Relations. The forum gathered representatives from 6 continents and more than 50 diplomatic academies for an intense 3-days program that discussed new trends and challenges in preparing future diplomats for work in a rapidly changing international environment. Guest speakers included President Aleksander Kwaśniewski, Prime Minister Włodzimierz Cimoszewicz and Minister Andrzej Olechowski. The program was opened with a keynote delivered by President Kwaśniewski that discussed Poland’s democratic transition experience and how this lends naturally to Poland’s rise as leaders in diplomacy. Following a Q&A session with the IFDT members, former Prime Minister Włodzimierz Cimoszewicz joined Ambassadors Nancy McEldowney (Foreign Service Institute, U.S. State Department) and Hans Winkler (Vienna Diplomatic Academy) and Jean Pierre Froehly (OSCE-ODiHR) on the “Preparing Diplomats for the Unknown” panel, moderated by EAD Director Dr. Katarzyna Pisarska. 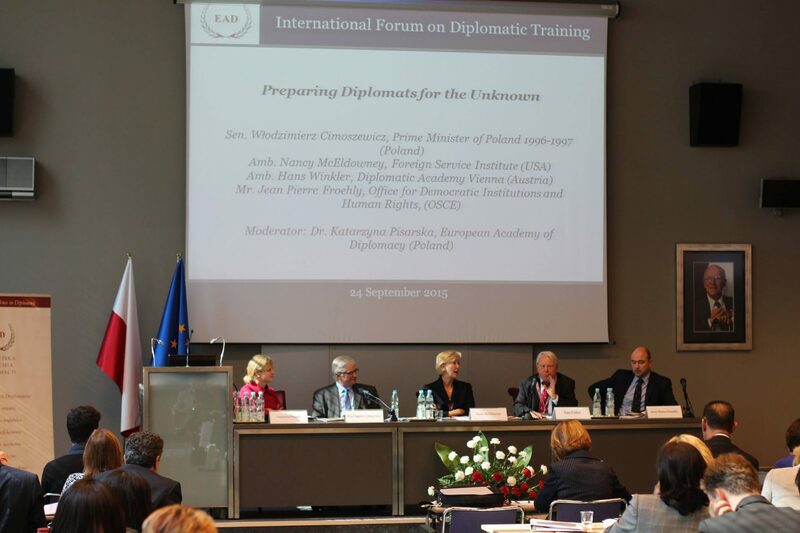 One new feature of this year’s International Forum on Diplomatic Training was the introduction of working groups – interactive discussions focusing on topics, such as: working with civil society, diplomacy & human rights, mentoring in diplomatic training, implementing new technologies, European diplomatic training & the EEAS, and recruiting and training of new diplomats. The 2016 International Forum on Diplomatic Training will be hosted by the Australian National University (ANU) in Canberra.